My weapon of choice is a midnight blue Surly Long Haul Trucker Deluxe, nicknamed the Mighty Nightshade (or Shirley, by Cyril). I spent so much time in the saddle she now feels like a natural extension of my body. Deluxe means my frame has S&S couplers, meaning I can take the frame apart and pack it to regular airport luggage size. It takes about an hour to pack and put the bicycle together again, and I would always prefer to leave the bicycle in one piece while travelling. But, it is great to have the option. I can now travel with pretty much any airline without paying extra fees as long as I stay within their weight limit (tip: Thai Airways allows 30kgs and is overall very bike friendly. I’ll be travelling with them for the second time this summer). I wanted to take the Surly on a bus in China and was almost refused because the hold was full. I quickly uncoupled, folded the frame and took the front wheel out, and was allowed on the bus after all. I love my Surly, especially after everything we have been through together. What I don’t love is the ‘service’ I received from Surly and Vakantiefietser, where I bought my bicycle. I had a complaint about the paint job on the bicycle and this wasn’t taken seriously at all. The paint has been chipping off everywhere on my frame, and rust has been forming. 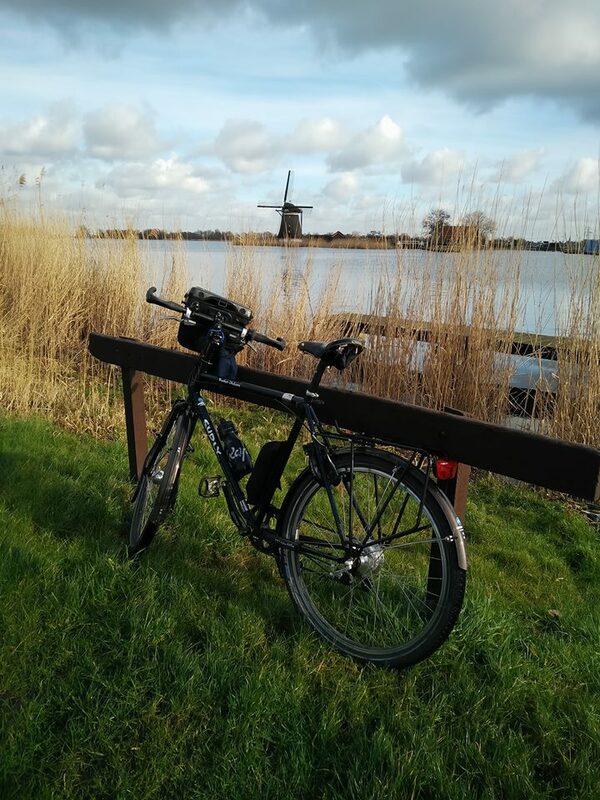 Here are some of Vakantiefietsers rather condescending replies:”you should just be grateful for the trip you had with this bicycle” and “my dad who was a blacksmith could have told you that rust is normal” and “we haven’t had any complaints about rust before”. Hm, maybe that’s because they usually sell aluminum bikes and never sold a Surly before? All in all not the best replies when you have spent close to 4000 euro on a bicycle. It is not a disposable item, I bought it to use for a long time to come and not just for one trip. In short, I wouldn’t recommend anyone buying a bicycle with them if you expect to receive any aftercare. Surly was equally dismissive: on their website they state that touching up of the frame won’t be necessary because the paint job is supposedly excellent. However when I contacted them and sent them pictures of the many rusty spots on my frame where the paint is chipping off when you so much as look at it this is exactly what they advised: just touch it up with nail polish. They suggested that the paint had come off because of ‘cable rub’. If the Surly Long Haul Trucker paint job can’t withstand the rub of a cable, how can you possibly market it as a world traveling bicycle? I have seen many Surly’s come through my house in Kunming in the meantime and none of them looks anywhere near as bad as mine, so I logically assumed my bike had a dud paint job. It would have been nice of Surly if they had acknowledged this instead of coming up with silly answers such as ‘cable rub’. I didn’t ask for a new frame, I wanted to be taken seriously as a customer and get a reimbursement of a new paint job. I will now pay this out of my own pocket. I really don’t want to lose my frame to rust eating away at it as I keep on travelling. The upside is I am now dream up a new colour scheme and decal designs for the Mighty Nightshade. She will rise again, like a blue phoenix from the rusty ashes. Cyril is a firm believer in the N+1 rule. So his touring bike joined the rest of his stable in 2015. It is a second hand Snel randonneur which he tweaked to his liking. It sports a 2 x 9 drivetrain, cantilever brakes, Salsa Cowchipper bars and ofcourse a Brooks B17 Saddle. Its name: The Luggabeast.